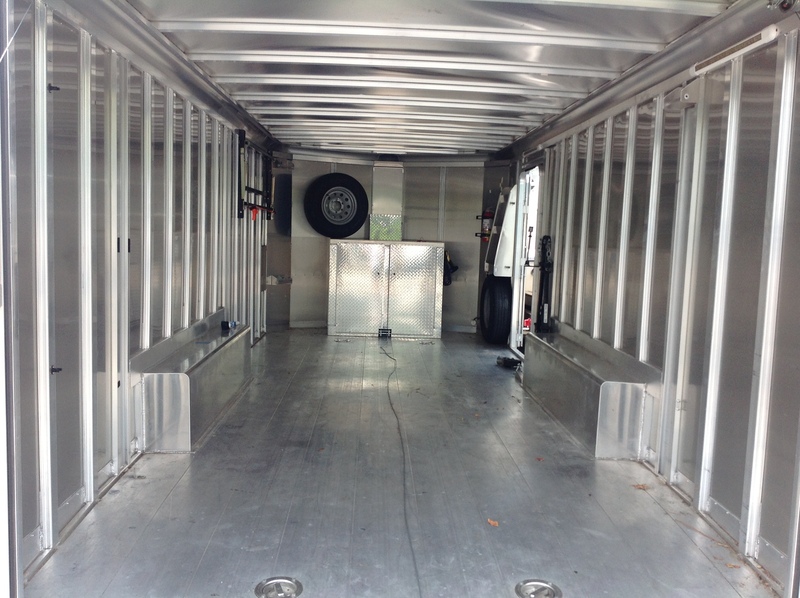 This 2011 Featherlite 4926 All-Aluminum 20′ Car Hauler is in excellent condition. 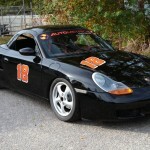 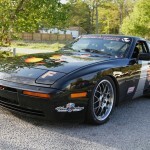 The lightweight combined with forged aluminum wheels wearing E-series tires should minimize tire problems, but things happen on the road and should a tire get damaged, two spares are included. 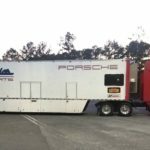 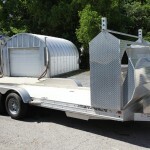 This trailer is available for immediate inspection and purchase at our facility in Charleston, SC for SOLD. 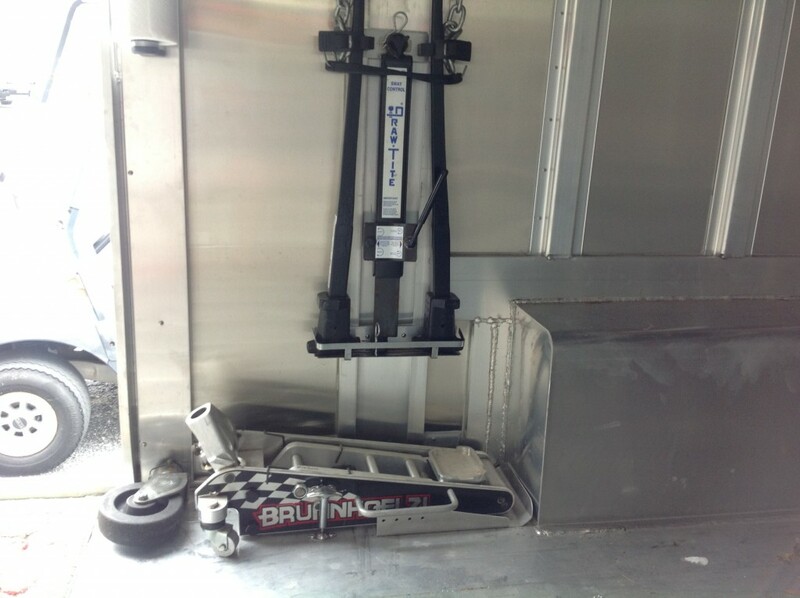 Loading the trailer is eased by extended 72″ ramps with raised tailgate and remote winch, allowing clearance for cars with lowered ride heights. 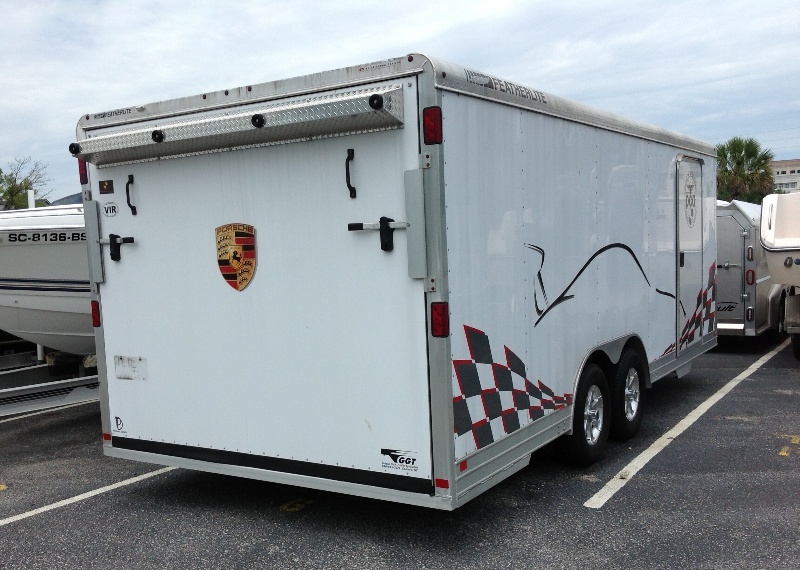 The storage cabinet, wall storage rack and folding tire rack should hold and organize everything you need for a DE or Club race weekend. 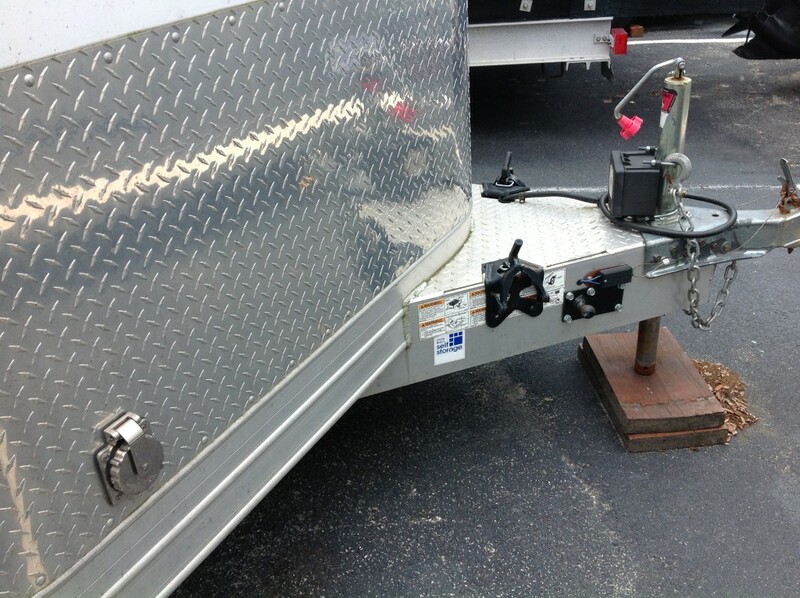 With the sway control and load leveling hitch, this Featherlite offers flexibility in tow vehicles, and won’t require a full-size truck like other trailers. 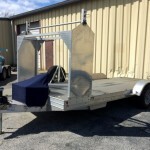 This trailer is perfectly equipped to take the hassle out of hauling a car while providing all the security and convenience advantages of an enclosed trailer.